Jim Wharton built his Handy Billy launch singlehandedly over the course of seven years in an unheated barn, so the work was confined to warm weather months. Working part-time for most of the years, he reports that much progress was made in the first spring and summer after he retired. 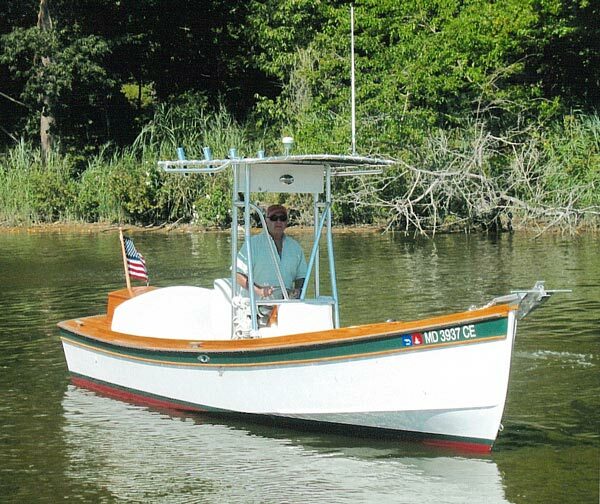 He used the three-part how-to-build article in WoodenBoat [Nos. 159-161] as a construction guide and says that this was his first attempt at a planked boat. 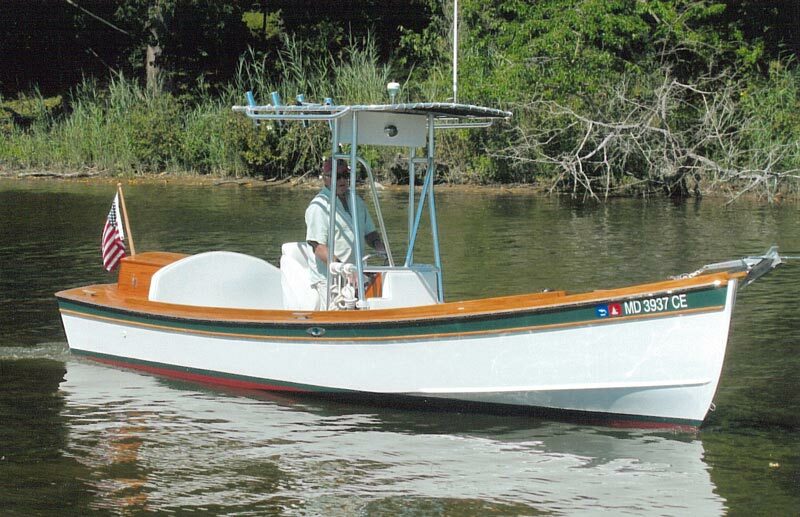 Keel, stem, frames, floors, deckbeams, and coaming are white oak; battens and thwart are Douglas-fir; planking, cockpit sole, and center console are cypress; seats and deck are white cedar; cleats are black locust; and the transom is mahogany, finished bright. 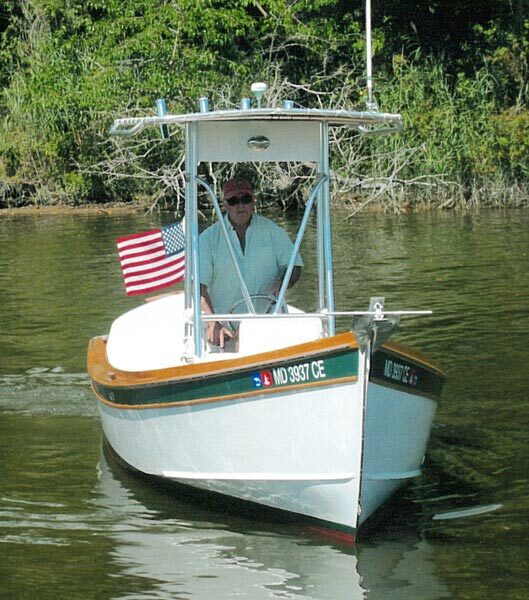 Jim uses FREE AT LAST for daytrips on the Corsica and Chester rivers on the Eastern Shore of Maryland, and says that "she rides very well in a short chop and feels underfoot like a bigger boat than she is."